I used to think this expression meant the physical, but the older I get the more I recognise the metaphysical. Before my first daughter was born, I had moved well over 20 times; I had had spells in Bristol, London and Surrey not to mention my sojourn in South Africa (1975-77). 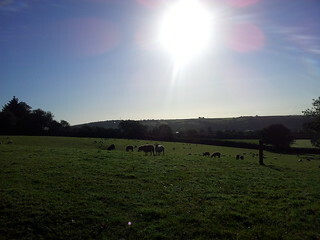 Right now, my home is Devon; I live very close to Dartmoor. In the past, I never stopped to consider my home – I just followed my drive to be successful, and moved accordingly. Looking back, I recognise how disorientating it was. I was never settled because my inner critic didn’t allow me the comfort of acceptance. Right now, my heart is connected to the landscape, the people and the space of home. To say that I find the experience spiritually uplifting is an understatement. More than anything else, it connects me with who I am.